Our efforts to conserve energy and reduce emissions to air have given us a Blue Circle Award. The award recognises industry partners that excel in environmental stewardship. The award is given by Vancouver Fraser Port Authority. It goes to companies that voluntarily work to reduce emissions and conserve energy. At the same time, the winners need to reach the highest level of participation in the port’s environmental programmes. – We are delighted to recognise 19 recipients with a Blue Circle Award this year. Their efforts go above and beyond regulatory requirements. 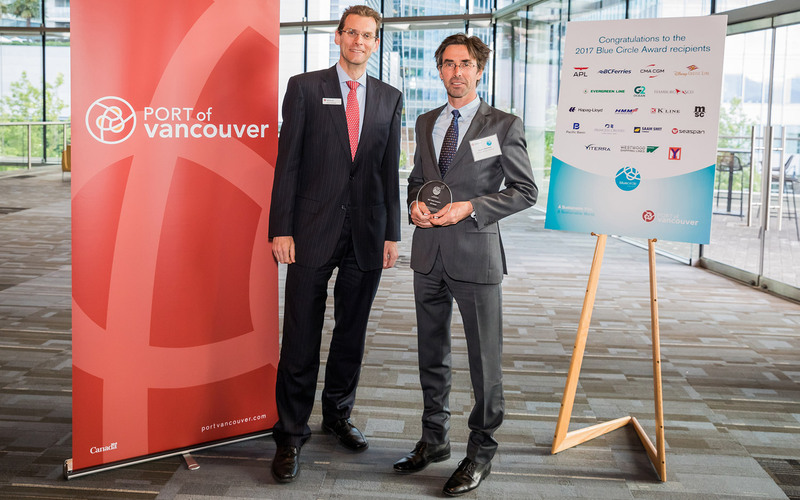 Congratulations to the 2017 award recipients, said Robin Silvester, president and chief executive officer at the Vancouver Fraser Port Authority.